I have had several encounters with Fox recently. They've been popping up wherever I go - from images and videos on Facebook to even having a stare down with one out front of my home! As of late, rarely a week goes by without me having some kind of interaction with this lovely creature. I decided to do some research on the meaning of Fox and what Fox may have to tell us. I had been seeing Fox for several months by this point. I was very confused as to what it meant for me every time it showed up in my life. It was late at night on Valentine's Day. A family member was sick and had just been rushed off to the hospital. I had stepped outside to get some fresh air and do some thinking. I wasn't paying attention to too much of anything when something told me to look up. When I did, standing out in the darkness, there in a red blaze of glory, was a fox. I stopped moving, my breath caught in my throat. It seemed to have appeared out of thin air. It looked so magical standing there! A message just for me. We locked eyes for a good minute or so. I tried to tune in to what it was trying to communicate with me as I know it had a message for me. Unfortunately no matter how hard I tried to tune in, I couldn't understand what it wanted to tell me (I am still working diligently to find the answer). After a few more moments, we dropped eye contact and the fox scampered off into a neighbor's backyard. In all my years of living where I do, this has never happened to me before. Needless to say I was stunned. 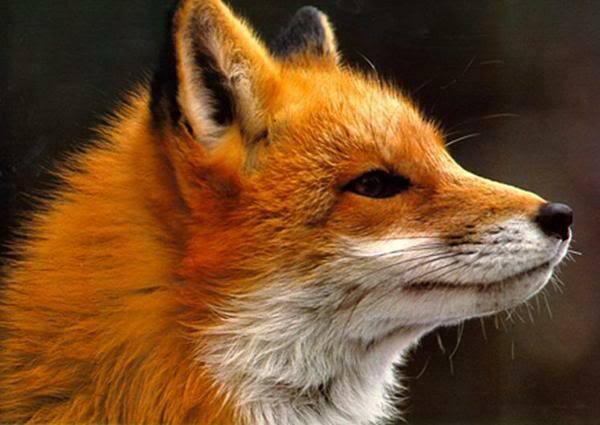 When I first thought about the fox, I believed they were just sly and cunning tricksters. Fox is so much more! The Fox is a smart and daring creature. A survivor. Foxes can easily blend into their surroundings, masters of the art of camouflage, when in hiding or stalking their prey. They can live in cities, suburbs, or out in the country (they're very adaptable and resourceful creatures!) and yet may never be witnessed by the human eye! Fox wants you to take a look at your surroundings and see how they are affecting you and how you are adapting to them. Taking quick, swift, silent action is the way of the Fox. They are playful and yes, they can be a bit mischievous! The Red Fox excites passion, creativity, sexuality, mystery, and a hint of danger - just like the terms vixen or stone cold fox imply. Fox is also a shapeshifter, a walker between the worlds (since they mainly comes out at dusk/dawn), who revels in the subconscious and the unknown. Since there are 21 species of Fox, it is also associated with The World card in tarot. This is about connection with all there is, unification, community, integration, endings and beginnings. Fox encourages us to be our most bold and loving self. To only come out into the open when the moment is just right. 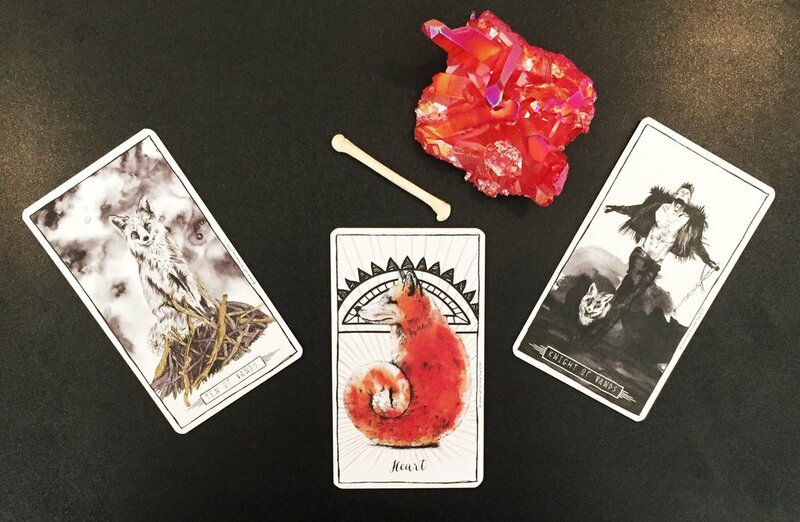 Fox asks us if we are showing our true intentions, following our truth, and living our most passionate life. Are you?